Wall pedestals can either be a right turn or a left turn. There are different directions within the right and left turns. 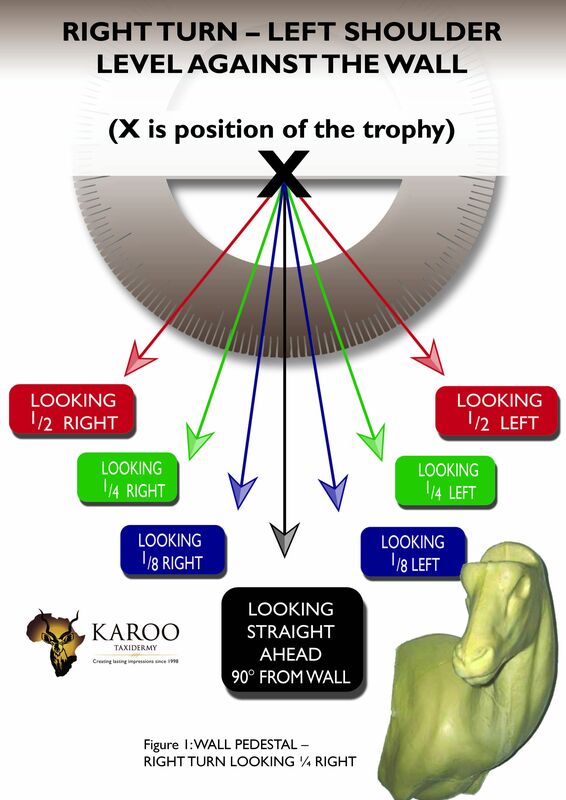 A right turn looking straight put simply means that the left shoulder of the animal is against the wall and the animal is looking straight out from the wall (90º turn) Therefore, if you were to stand directly in front of the animal it would be looking straight at you. 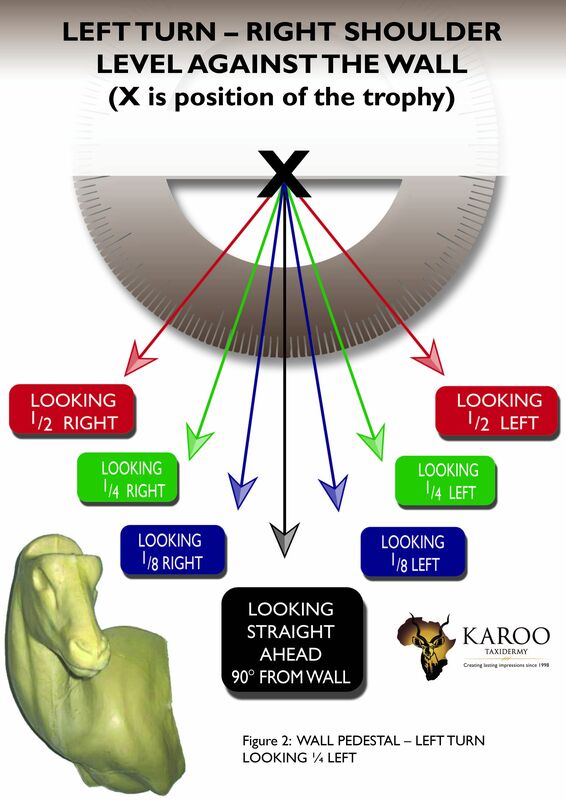 A left turn looking straight put simply means that the right shoulder of the animal is against the wall and the animal is looking straight out from the wall (90º turn) Therefore, if you were to stand directly in front of the animal it would be looking straight at you.